MINISTER FOR FINANCE Michael Noonan has confirmed that top executives from Allied Irish Bank (AIB) requested a return to bonuses last month. However, the Minister “personally reinforced” that are no currently no plans to re-introduce such incentivisation. “I can confirm that at a meeting which took place between AIB and officials from the Department of Finance in January 2014,” he said, responding to a parliamentary question from Fianna Fáil’s Michael McGrath. The Minister said that “no policy changes are planned” in the area of bank bonuses. He reiterated that in state-owned banks, the payment of bonuses is not permitted and that ‘remuneration is capped at €500,000, excluding normal pension entitlements’. Speaking last month, the Minister said that “much better performance” is required before bonuses will be considered. Email “Noonan confirms he said no to bonuses in face-to-face meeting with AIB bosses”. 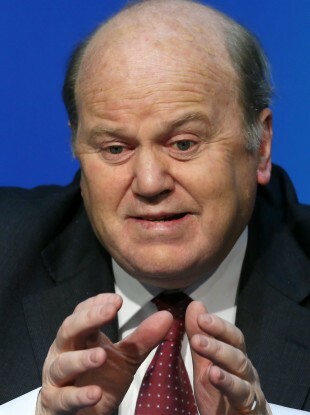 Feedback on “Noonan confirms he said no to bonuses in face-to-face meeting with AIB bosses”.